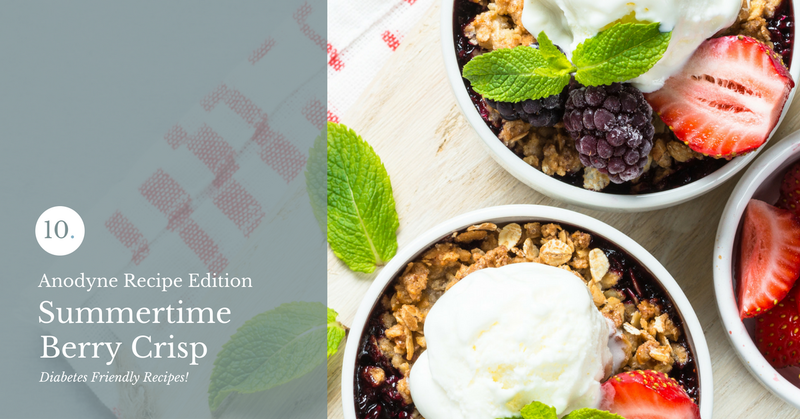 Head to the farmer's market, grab fresh, juicy berries and make this summertime berry crisp with the crumble topping! 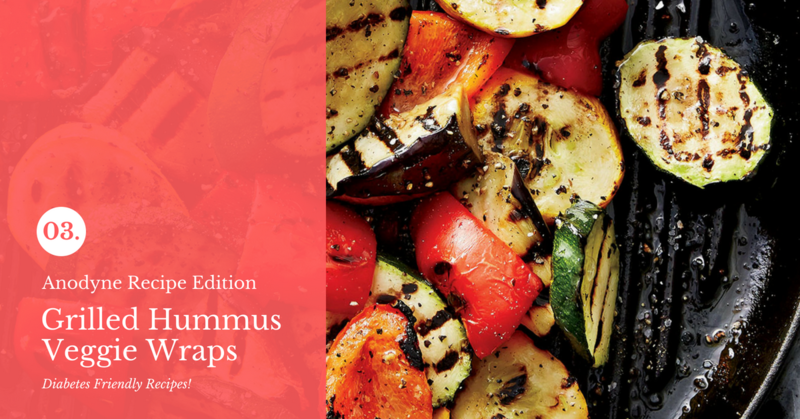 Perfect treat for a summer BBQ! 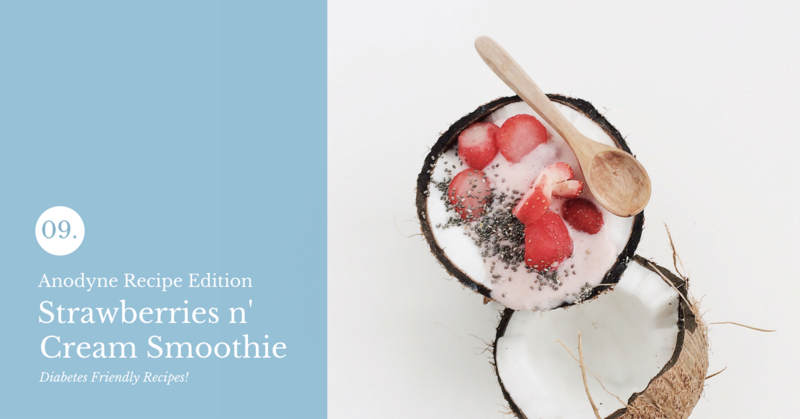 A delicious smoothie made with strawberries, banana, almond milk and yogurt for a protein boost. Option to include chia seeds for a healthy dose of omega-3! Hi friends! Today’s Anodyne recipe is simple and deeeeee-licious! 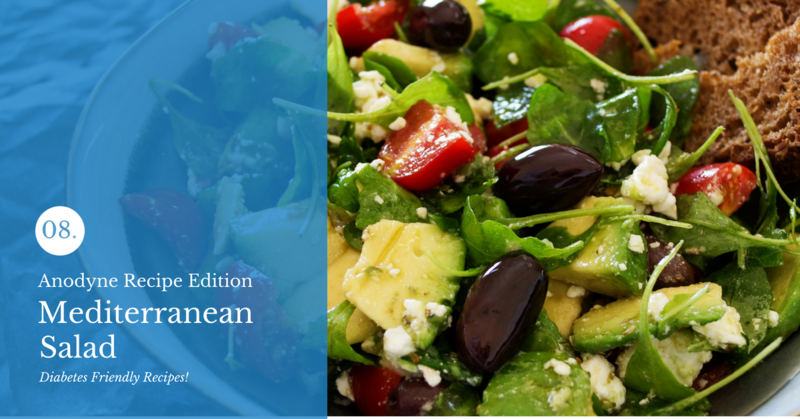 The Mediterranean Salad can be used as a light meal or as a side dish when entertaining. Happy Friday everyone! 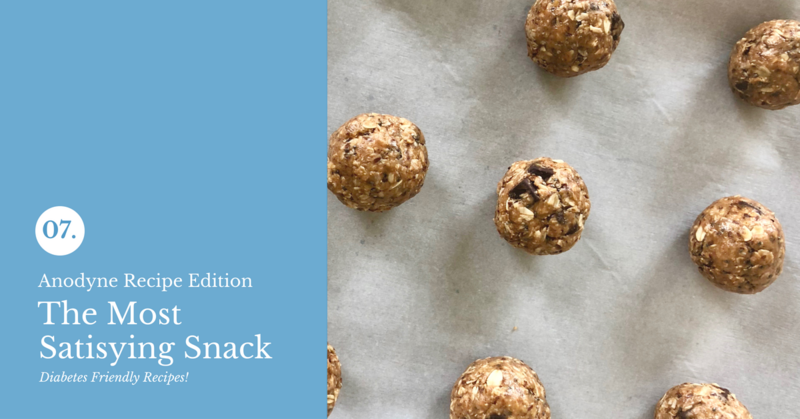 I hope you all some fun plans in store for the weekend, whether that means going out with friends or hanging out at home/ This week on Anodyne’s Summer Recipe Edition, I am giving you the most SATISFYING snack imaginable. Believe it or not, this snack will satisfy those dessert cravings, while filling you up. Wondering what I’m making?! 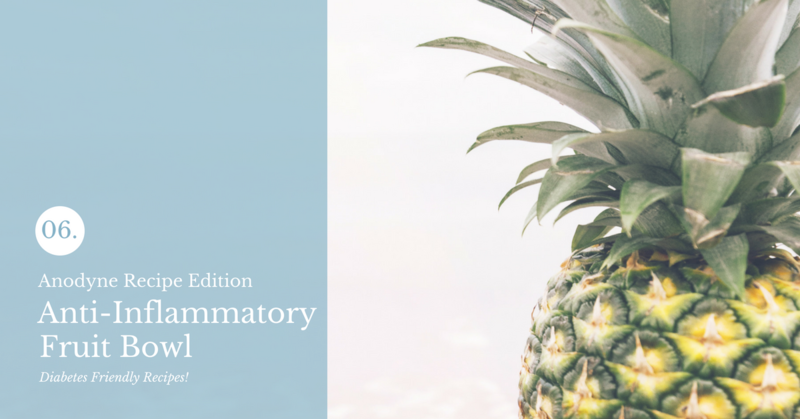 “Anti-inflammatory” is quite the buzz word in nutrition lately! When it comes to diets and such, I am not a big fan. Why? Because diets don’t work. They are not sustainable. No ifs, ands, or buts! Continually educating yourself on nutrition and absorbing knowledge from different angles is the key to learning what foods are best for your body. Fresh cookies that satisfy any sweet tooth and are HEALTHY! 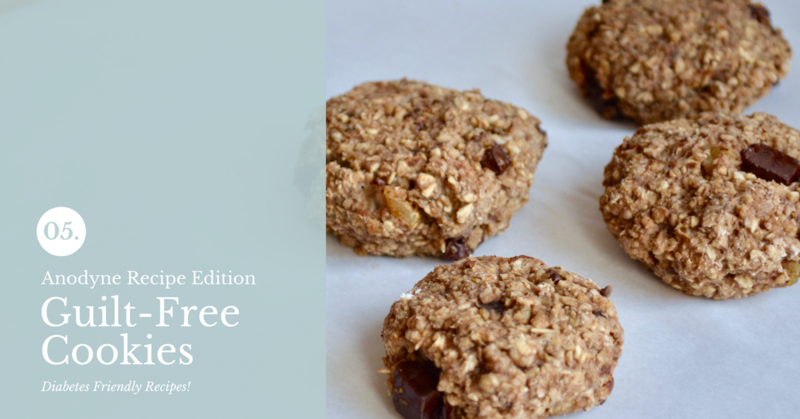 These guilt-free cookies are packed with fiber, antioxidants & anti-inflammatory properties. Do I have any avocado toast fans out there?! 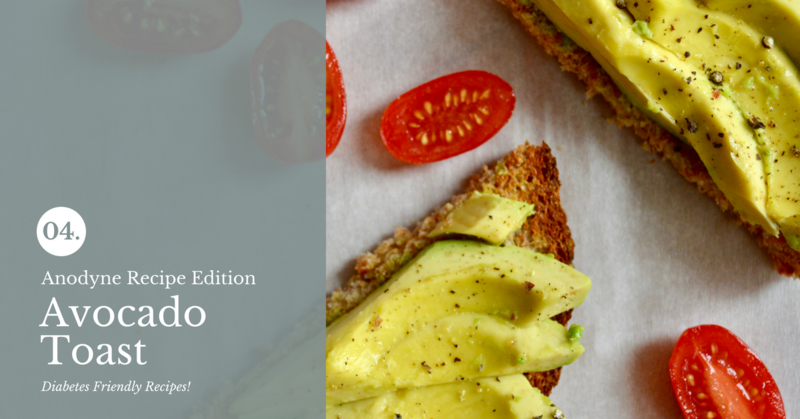 Avocado toast is my favorite go-to meal or snack when I’m in a time crunch or feeling lazy in the kitchen. This is what I define as “fast food.” Fast food meaning a quick meal that satisfies cravings and is inexpensive! If you think about it, the cost to make this meal is less than anything you’d order at McDonald’s AND the time it takes to prepare the meal is less than making it past any commercial drive-thru. True or False: Bunions CAN be prevented. I’m guessing if you are reading this post, you may have a bunion, family history of bunions or could be concerned with your feet in someway. For many of us, we may have conditions in which we were bound to eventually enduring bunion surgery. Although for others, you can incorporate one small change to avoid potential bunion surgery! 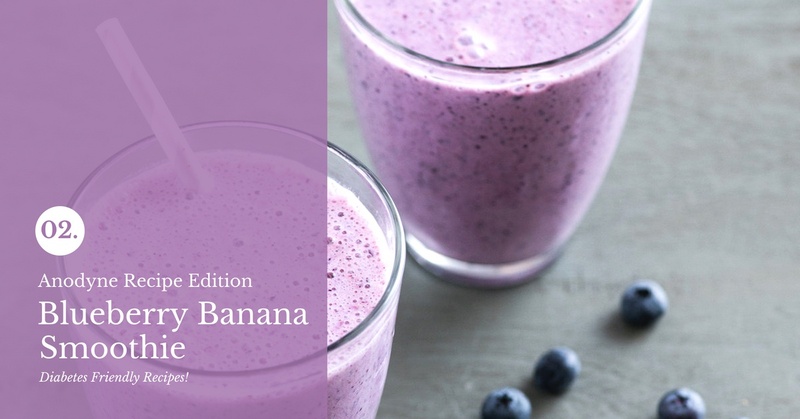 Did anyone have the chance to make my healthy pancakes or blueberry banana smoothie last weekend? I’m so excited to hear your feedback, whether it is positive or negative. I’m determined to help everyone make healthy renditions of their favorite dishes…so if you have any in particular you’re be interested in, don’t hesitate to reach out. Whether it’s making a healthier version of your favorites or expanding your horizons, let’s do this thing together! Want to know the “silver bullet” to improving your health?! Whether you are diabetic or not, a common theme you will see with different diets and nutrition recommendations is incorporating more fruits and vegetables on a daily basis. Incorporating more fruits and vegetables on a daily basis is hands down the silver bullet to improving your health.